Raw and unrelenting adrenaline is a trademark feature on many a sports car, which is what has made them so favored by every part of the market, from adventure junkies to professionals who still feel the need to press the pedal and rev the engine one more time. 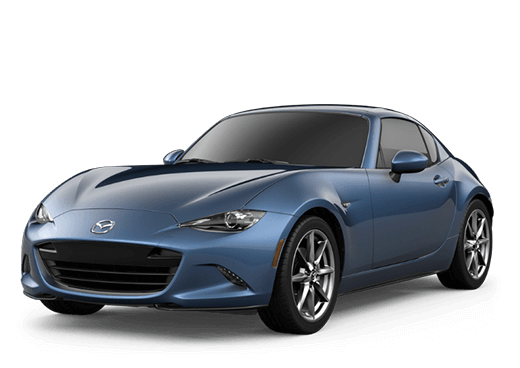 There’s no better vehicle to accommodate this need than the Mazda MX-5 Miata RF, which is set to return to the American market soon for the 2019 model year. 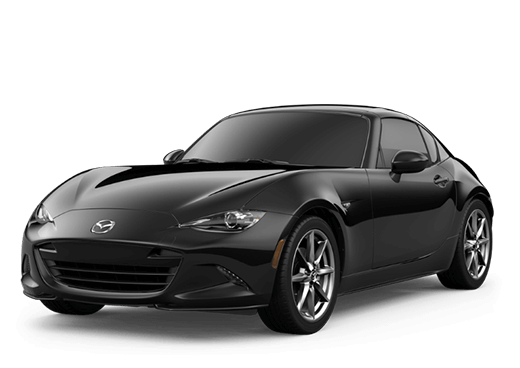 We expect the 2019 MX-5 Miata RF to arrive on dealership lots later on in Fall 2018, with a starting MSRP of $32,345. Beforehand, however, we encourage you to keep reading to learn more about what it’s set to bring to the table! 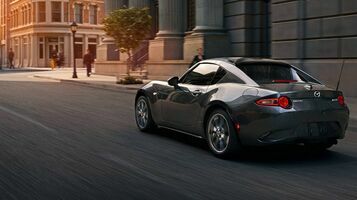 The MX-5 Miata RF line is famous for the high amounts of sporty power that it brings to the table, exemplified by its standard SKYACTIV®-G 2.0-liter Inline 4 engine, which will be able to produce 181 horsepower. 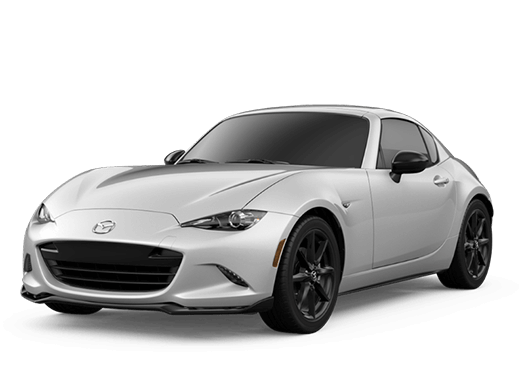 Plus, with a modern-engineered drivetrain that creates one of the most responsive and natural driving experiences out there, there’s nothing like the MX-5 Miata RF for any need you have on the road. 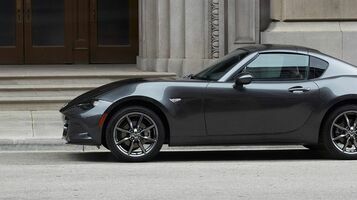 Its hard top can retract in 13 seconds flat, allowing the 2019 MX-5 Miata RF to transform into a convertible in basically no time. But that’s just the tip of the iceberg when it comes to this sports car’s style – thanks to highly intelligent engineering, you’ll be treated to near even, 50/50 weight distribution. Though its bread and butter lies in its performance capabilities, the 2019 Mazda MX-5 Miata RF is also highly intelligent. 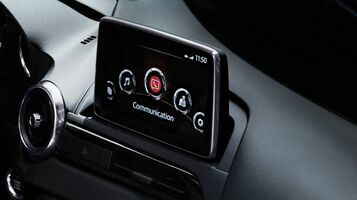 You’ll get MAZDA CONNECT™ infotainment standard, as well as a driver assistance package that includes high-tech innovations like Traffic Sign Recognition. Smart City Brake Support and a standard Rear-View Camera.